Anyone can participate in Labs and you don’t need to sign up formally. At the same time, we think it’s good for people to be able to self-identify as official “Members” as a way to show they are part of the community. Anyone may become a Member – just follow the quick sign-up steps! Labs members come from a wide variety of backgrounds and are based all over the world. See below if there’s an open data hacker, wrangler, or researcher in your area. As Communications Officer, Lieke works on increasing the profile and awareness of Open Knowledge International projects online, supporting and developing the core community around projects as well as engaging in social media and content. Lilly believes that the future of scientific research is open, and is the Product Manager for Frictionless Data for Reproducible Research. Georges Labrèche is the founder and chairperson of Open Data Kosovo. He was also one of Frictionless Data’s Tool Fund grantees in 2017. Read more about him here. Daniel Fireman is a PhD candidate at the Federal University of Campina Grande in Brazil. He was also one of Frictionless Data’s Tool Fund grantees in 2017. Read more about him here. Open Knowledge Greece is an official chapter of the Open knowledge International network. Find out more about their work on their website. Nikesh is the Chief Executive Officer of Open Knowledge Nepal. The previous led of Open Government Data and Open Development working groups. He occasionally writes the code but loves scraping, collecting and analyzing the Data.He is currently pursuing his bachelor degree in Computer Engineering. Stephen is passionate about driving improvement in the quality of open data. 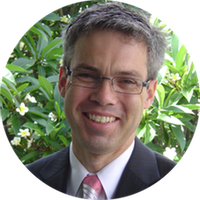 He has contributed to a number of Open Knowledge projects, established Australia’s Open Data Census and can be found on the Open Knowledge Forum. Working with the Open Data Institute, Stephen has contributed to the development of the Open Data Pathway, Open Data Certificates and Comma Chameleon. His current project is Data Curator, a simple desktop CSV editor to help describe, validate and share usable open data. Serah believes that any work she engages in is only as meaningful as the change it propels in grassroots communities, and that the work does not stop until all communities are at par in terms of access to resources, opportunities, and empowerment by information that this opens them up to. This is the measure by which she defines impact. Developing solutions for the open collaboration between citizens and the public sector organizations. Active in Open Data-, MyData- and Cyclingmovements in Finland and elsewhere. My calling is to work with issues that make cities and urban areas better and more sustainable places to live in. Kemel Zaidan is an avid learner who has decided that will write his MBA thesis about open data. Skills and experiences are as broad as art, journalism, open source, activism, evangelism, besides mostly Ruby, Node.js and lots of Linux. Lexman is the software architect from Mappy convinced by the power of data. He thinks we can apply to data the same methods for working in group that have succeded in software development, like continuous integration. Therefore he created tuttle for working on open data. Mika is a data scientist & engineer who believes in the power of open data to make the world a better place. Skills include startups, lean, data curation, cleansing, machine learning, data mining, language understanding & productization of data science pipelines. John is a longtime data scientist & engineer who strongly believes in the power of data and analytics to make the world a better place. Skills include data curation, cleansing, simulation, anonymization, machine learning, data mining, language understanding & productization of data science pipelines. David works in the pharmaceutical industry and likes to tinker with different technologies. Josh has spent most of his career as a systems administrator for commercial data centers and hosting companies. He is currently the Director of IT for the Puppycide Database Project. Adolfo is learning everytime he can about data journalism, semantic web technologies, computers, cooking or gardening. Don't believe the hype! James G. Kim is a toolsmith turned innovator. He has been working with Web technologies for more than a decade, and has developed strong enthusiasm for the Web, especially of data and services. He has M.Sc. in Computer Science, and is working on his Ph.D. in Medical Informatics, serving a role as an innovator and researcher at the company called LiST Inc.
Gerald is an internet professional with more than 10+ years of industry experience (has worked for Google, Apple, and others) and an enthusiastic collector of football and beer data. Skills include Ruby, SQLite and COBOL. Miroslav is an avid hacktivist on open source in government, freedom of information and transparency. He is actively involved in shaping local open data public policies, application of open technologies and government transparency analysis. Cobi is a science communicator, open activist and jill of all trades. Dan recently completed an MSc in ICT for Development from Royal Holloway, University of London. It exposed him to, among other things, the significant challenges and possibilities inherent in the use of open data for human development. Outside of academic research, he has experience in system administration and web development. After being involved in research (video decompression for people with visual-impairment, driving simulation for night-driving difficulties and traffic modelling) for almost 10 years, Matt now works on web development, data analysis and visualisation, currently for SMARTLANE. He loves open data and am excited by the plethora of tools its increase has inspired. Nar Kumar is Software Developer and loves open source. His other interests are open data, economics and society. Software developer and system admin with an interest in open source, open data, and open science. Enjoys data analysis and visualization. Matthew is a developer and founder and director of the OpenAustralia Foundation, an Australian charity created to make and share tools to help everyone strengthen our civic society. Most recently he has been building Morph.io. Always curious about learning more. Jezeel is a python enthusiast and researcher in the field of data mining and data analytics.He is intrested in seeking and developing new methodologies to scrape data and make it into a more simpler way. He has developed several tools to make his work more easier. Thomas Levine is a dada artist interested in sleep. He wrote about government open data portals from 2012 to 2013. Todd is the editor and publisher of Northern Plains News, a digital news service serving news outlets in South Dakota and the Northern Plains with alternative news and data-based stories. Enric is a data scientist, currently pulling together law-related data from virtually all national and international jurisdictions for a couple of projects at the Stanford Legal Informatics Department (Codex), while working on making law more widely accessible and understandable both at the local level and as a global, complex system. Paul grew up on a small farm in Ireland. There were goats involved. He now lives in Montclair, New Jersey. There are fewer goats involved. Neil is a writer and computational linguist. His interests resist categorization, ranging from ancient languages to functional programming and combining the abstract and the socially engaged. He has done graduate research at Cornell University and the University of Alberta. Programmer on a quest to find common sense in the numbers, who believes that software is just a means to an end, in this case to build on shared knowledge and vanquish prejudice through the art and science of data. 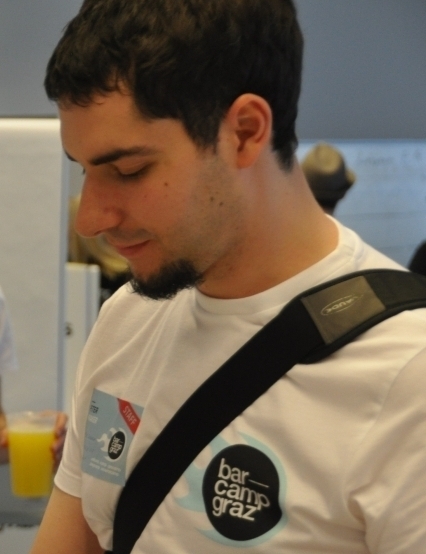 One of the founders of the Swiss Open Data community, organizer of hackspaces and hackathons, freelancer. Yohan is an idealist who try to actually *do* things. One of the main projects he is working on is uMap, which aims to make non technical persons use OSM data to create their embeddable web maps. He is also an active contributor for Humanitarian OpenStreetMap Team. Before acting as idealist, he has been CTO of French newspaper Libération for some long years. Josh is the creator of GovTrack.us and author of Open Government Data: The Book. Michael Bauer (RIP) was a biomedical researcher, hacker and activist. After some years of spending his life as a pipette-scientist he noticed he could do something his peers couldn’t: Handle data with ease. He thought: “One needs to do something about this”. Fast-forward over an episode of activism for digital freedom: He joined the School of Data to do exactly this. I am a researcher in linked open data. I believe a lot of frustration today is caused by data not being accessible (when does my train leave, how long do I have to queue, where does my money go, and so on). My goal is to increase your life quality by contextualizing data into information without you even noticing it. Ross Jones Software Engineer. Devops. Ross is a software developer (and part-time devops) who loves working with back-end systems and should never be allowed near anything resembling CSS, HTML or JS. He also co-founded Open Health Care UK and was a founding organiser at the Liverpool Hackspace (@doesliverpool) and currently works on data.gov.uk. Mark is a researcher turned hacker, with a particular focus on aid data. Working for Publish What You Fund, he is building tools to show the potential of open aid data and analyse its quality. Laura James Engineer. Somewhat rusty. Laura is an engineer who has worked with embedded systems, Python, Matlab and various kinds of hardware. These days she mostly seems to spend time in Excel but she also likes laser cutters. Lisa is a software engineer and journalist. After helping to create Where Does My Money Go, she worked with the Guardian's datablog. She now works on OpenSpending. Stefan is a software engineer and creator of civic applications. He has created Mapnificent, a public transport utility, and Frag Den Staat, Germany's Freedom of Information portal. Friedrich writes data-driven software to make political processes more accessible. He has worked on Adhocracy, OffenerHaushalt, OpenSpending and OffenesParlament.